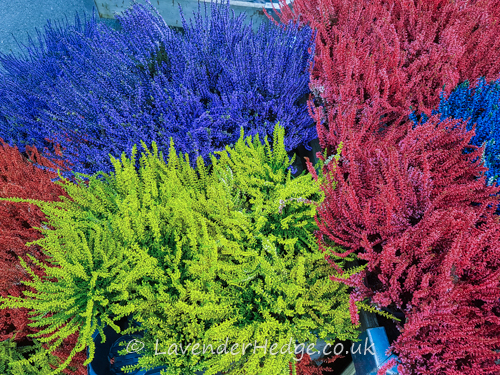 These are usually the variety of heather Calluna vulgaris, dyed in a variety of colours. 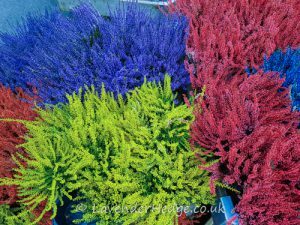 Just why anyone would want to buy these artificially coloured plants is beyond me; they must clash horribly with other colours in the garden. 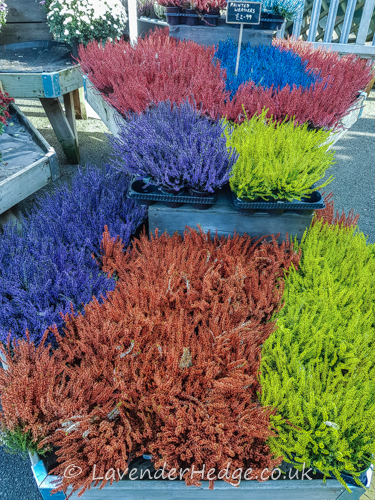 Presumably the dye fades after a while or perhaps it just kills the plant, I don’t know for sure. If it lives then the new growth will not be that colour, so it must leave people very disappointed at having bought a specific colour. 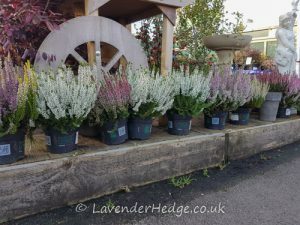 I would much prefer to buy natural heathers and wait until they flower! 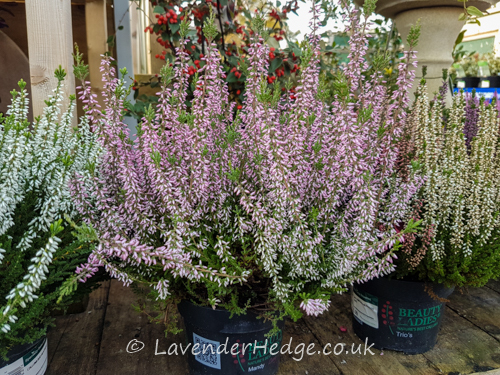 If you are looking for autumn flowering plants or foliage for winter interest, there are many better choices for your garden than painted heathers. 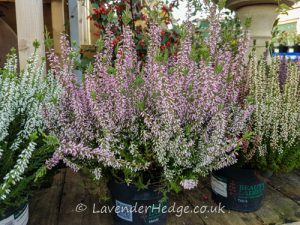 You can find a few examples of autumn flowering plants and winter flowering plants here.